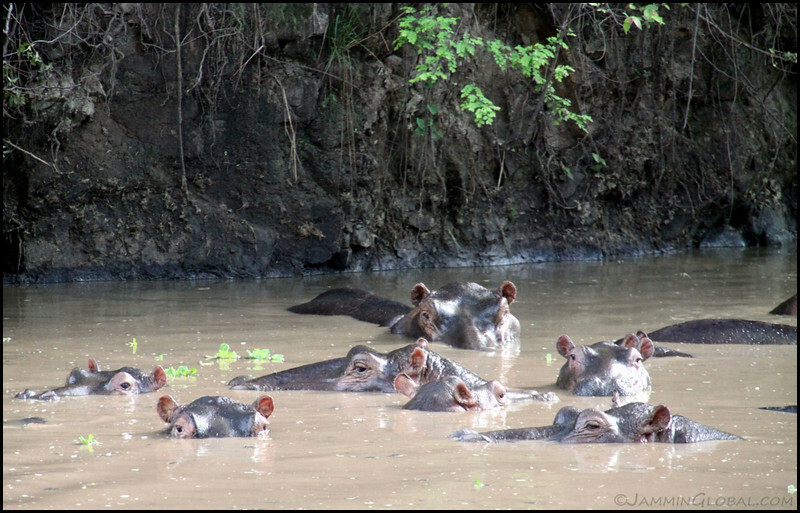 With sanDRina all sorted out now, I was finally back in the groove and enjoying Tanzania. 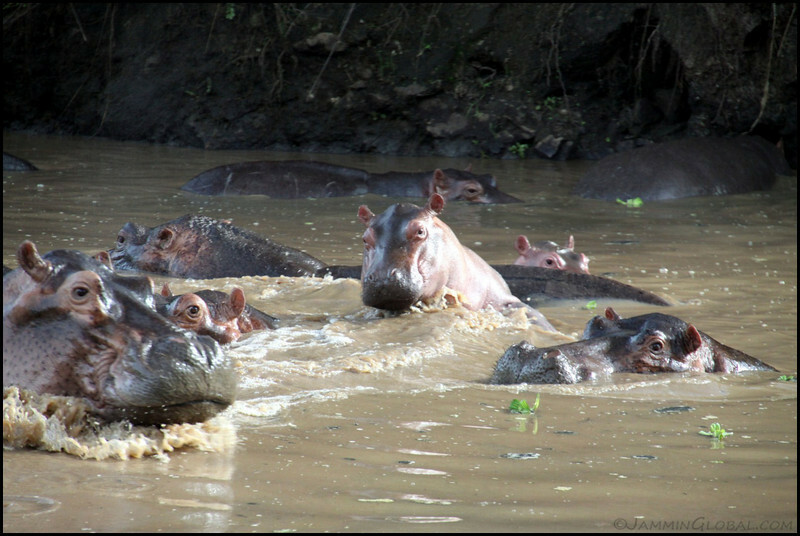 I spent a night next to some noisy hippos at the Katavi National Park and then sojourned down southwest Tanzania and its dirt roads into Mbeya. 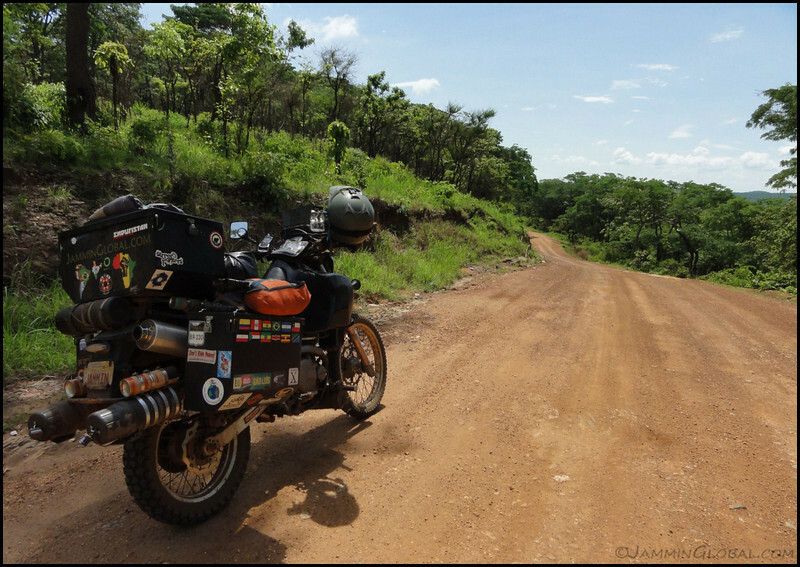 After a few days rest at a CouchSurfer’s place, I headed for the last leg through the Southern Highlands towards the border with Mozambique. First day back on the road after sanDRina was cured of her ills. Happy to have a smoothly running motorcycle. 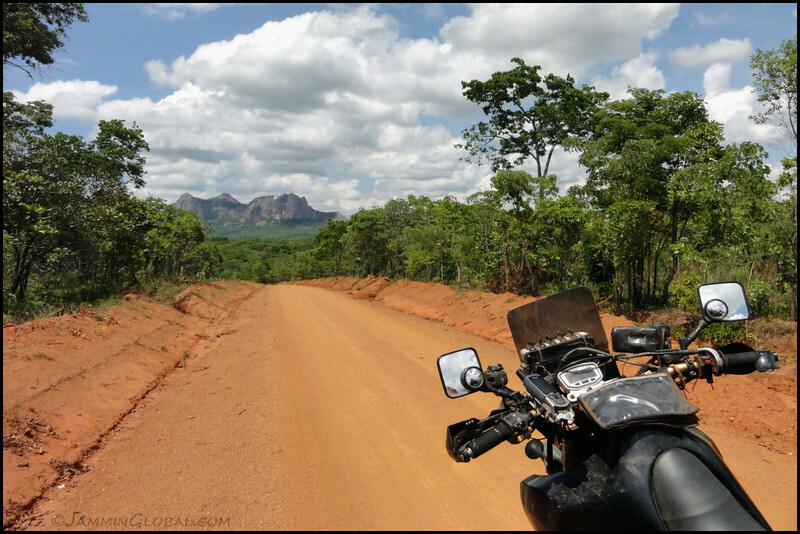 Riding the remote roads of southwestern Tanzania. 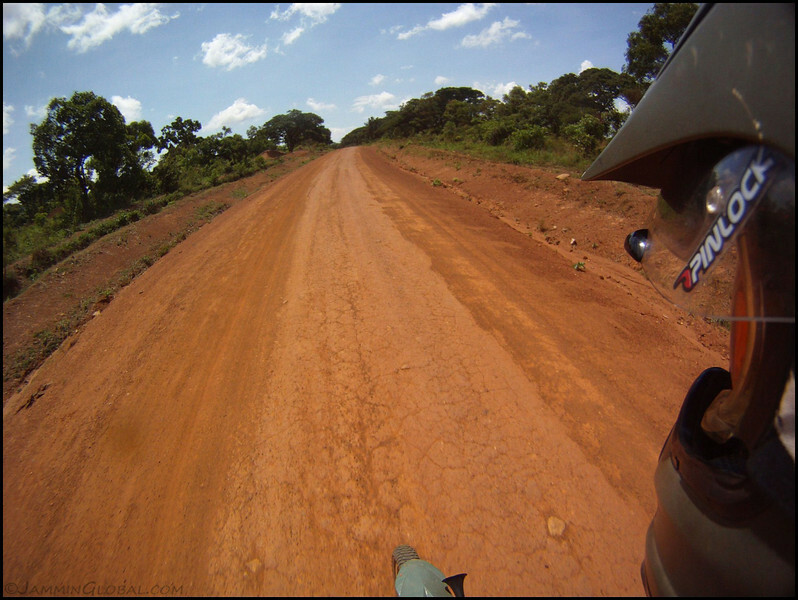 This is between Uvinza and Mpanda. Click here to see the high resolution version. I was in the middle of the rainy season now but it mostly falls for just a few hours in the afternoons with bright skies in the mornings. …pushing and shoving and grunting, especially where little ones are involved. 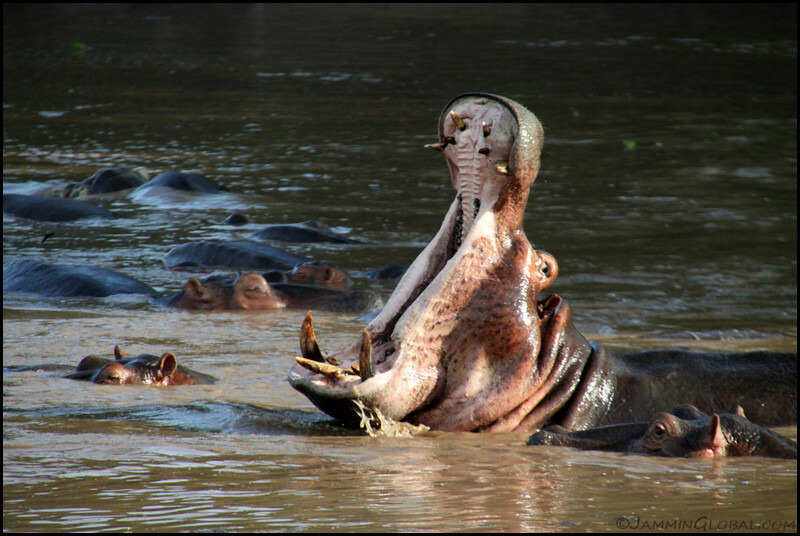 Hippos yawn a lot and the males love to show off their massive front-facing tusks. 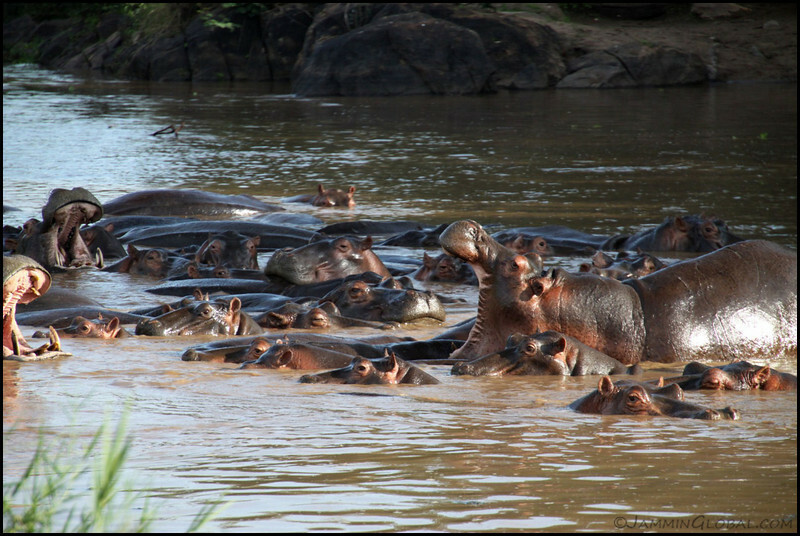 They basically lounge in the water all day long, due to the heat, and with lounging around comes a lot of yawning. 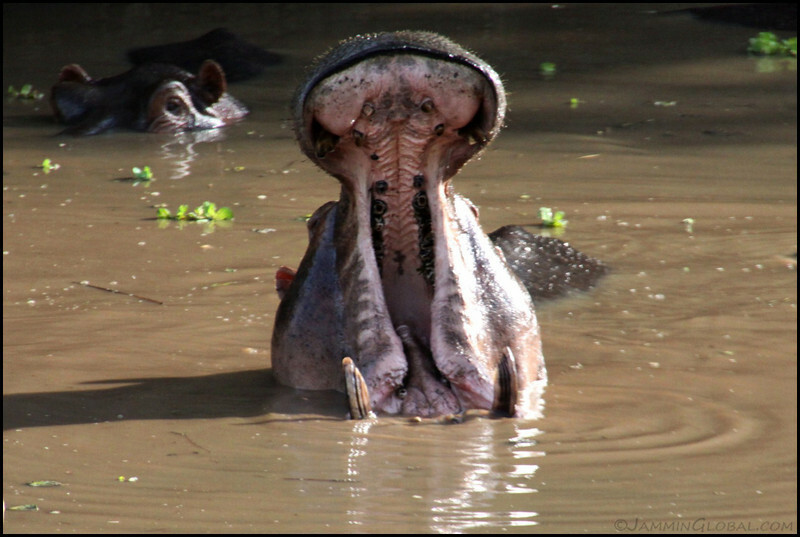 My, what a big mouth you have. Strange that their large mouth is mainly used during territorial attacks and not really for eating, since they’re vegetarians and come ashore at night to graze. 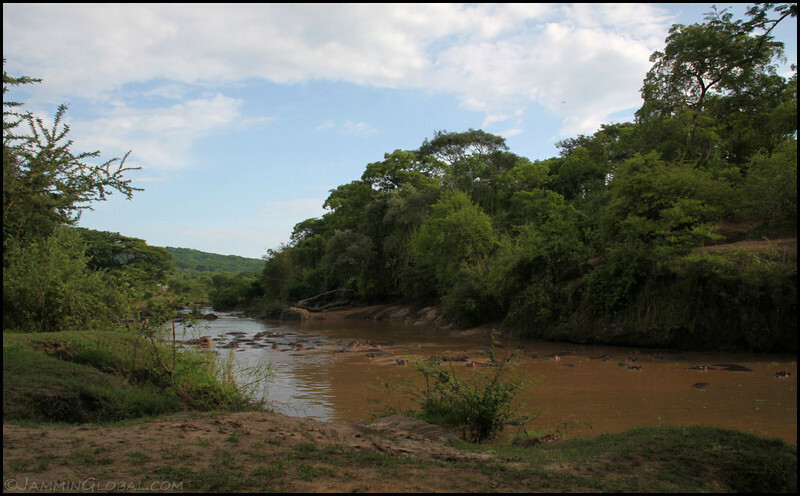 My camp site right next to the river with the hippos but no fears of being trampled at night due to large wooden poles used as fencing. Click here to see the high resolution version. 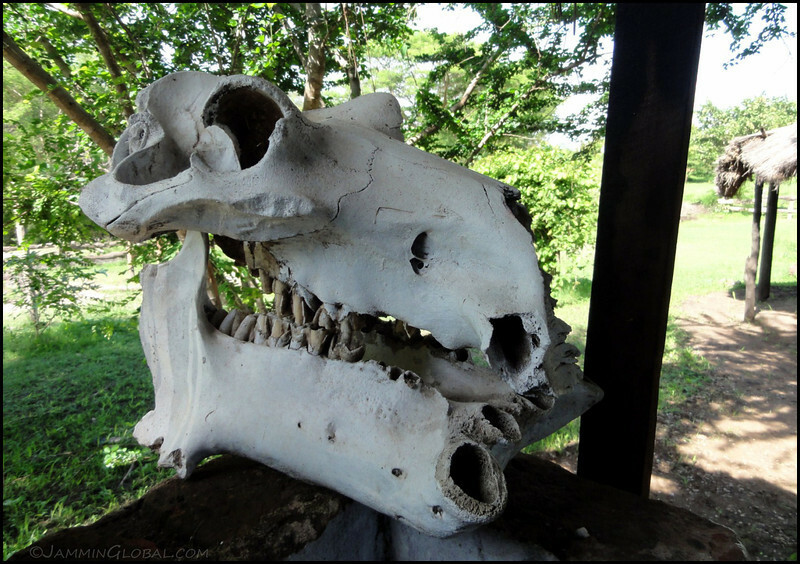 A large hippo skull by the bathroom. 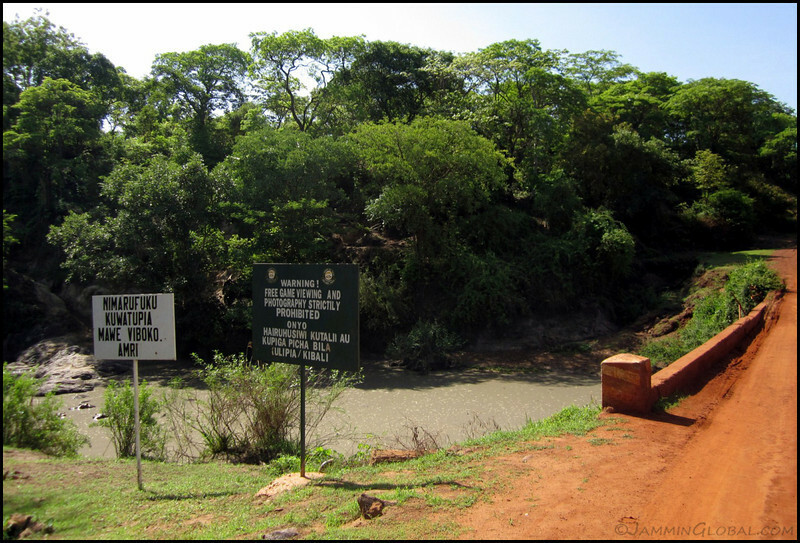 Setting off the next morning and noting the sign at the entrance to Katavi National Park. The main road cuts through the northern end of the park and the sign says that it’s prohibited to see and photograph any wildlife that I might come across. Since it’s a public road, it’s free to use but if I wander off into the bush, then I’m entering the national park and have to pay their fees. I promise to keep my eyes closed if I see an elephant. 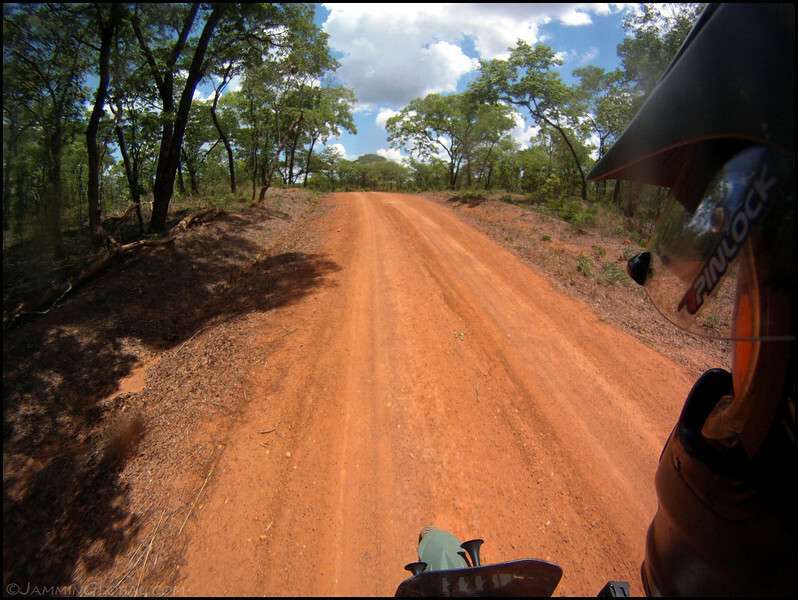 A nice, easy ride through Katavi National Park. I didn’t see any wildlife, so no rules broken. sanDRina looking quite clean for having been on muddy roads. I think the nightly rains are doing their job of giving her a bath. Waving to road construction workers having their lunch and seeking respite from the heat. 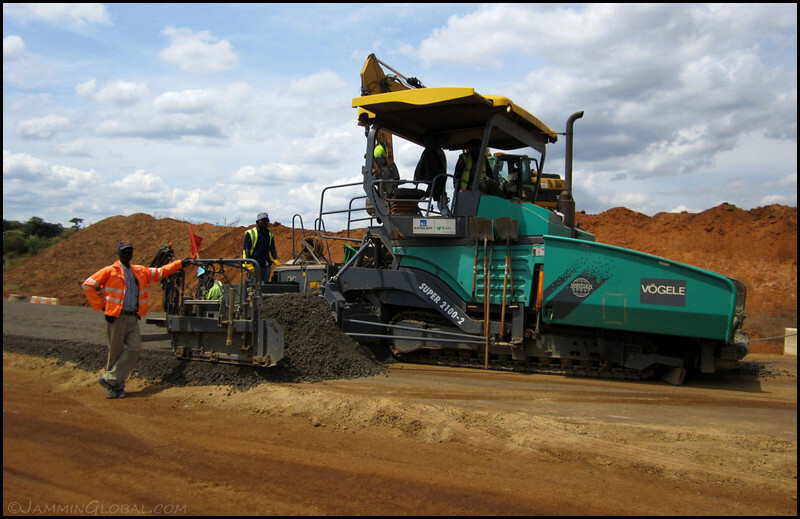 There’s a new, huge highway being built all up the southwestern side of Tanzania. I’m glad I could ride that route now, before the adventure is replaced by tar. 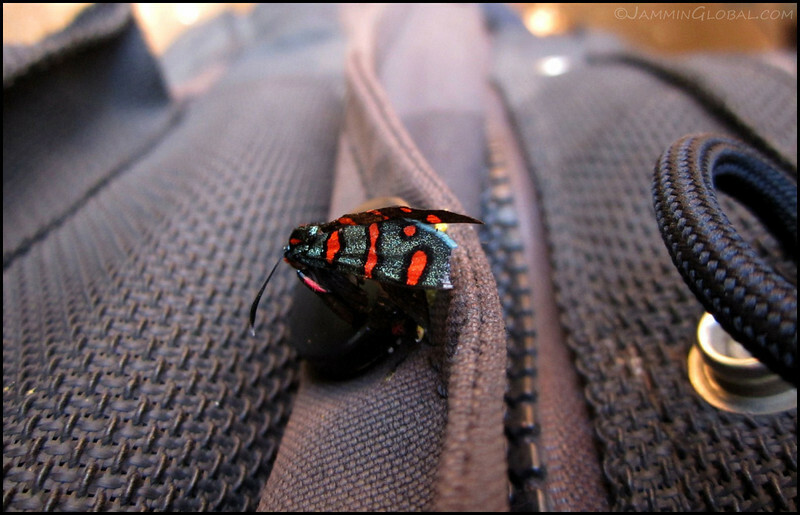 Taking a break and noticing a colorful hitchhiker who didn’t survive the rough ride. Sorry. And here’s a close look at the Kevlar mesh of my Motoport riding suit. Most people see the bulky riding gear and think how hot and miserable I must feel but they don’t realize that it’s all mesh and when I’m moving, air is flowing over my entire body and I feel just fine. I got flashed by this oncoming, unmarked car and had to pull over. I saw it was full of police officers and before this agent of the law could ask a single question to me, I had fired off a volley of questions to him, “Good afternoon, Sir, where’s the next petrol station? Can I buy water there? Is there a hotel nearby? Is it going to rain? I’m running late! Etc, etc.” This tactic works like a charm, every time. The police officer has become my friend now because he has given this poor traveler lots of useful information and quickly lets me go to carry on my mission. No documents were shown and no bribes were given. 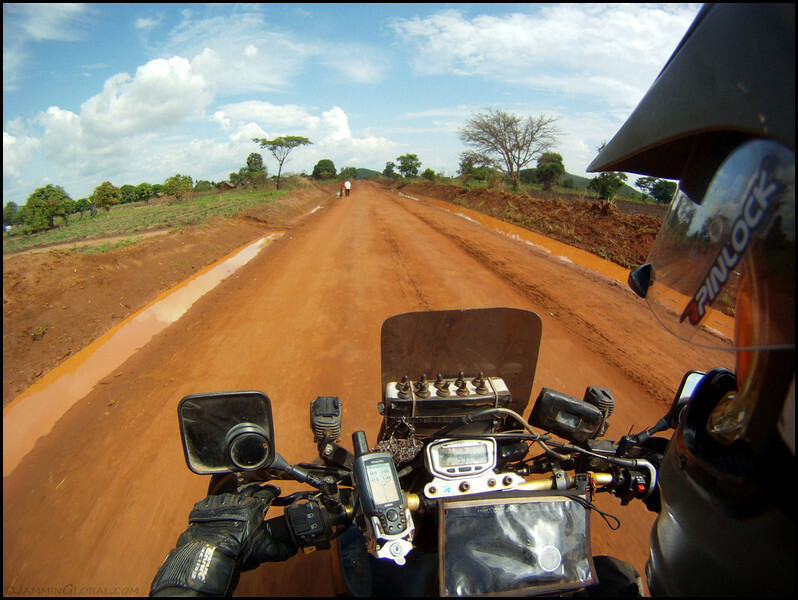 A wonderful ride, up and down mountains on a hard-packed mud road with lots of greenery. 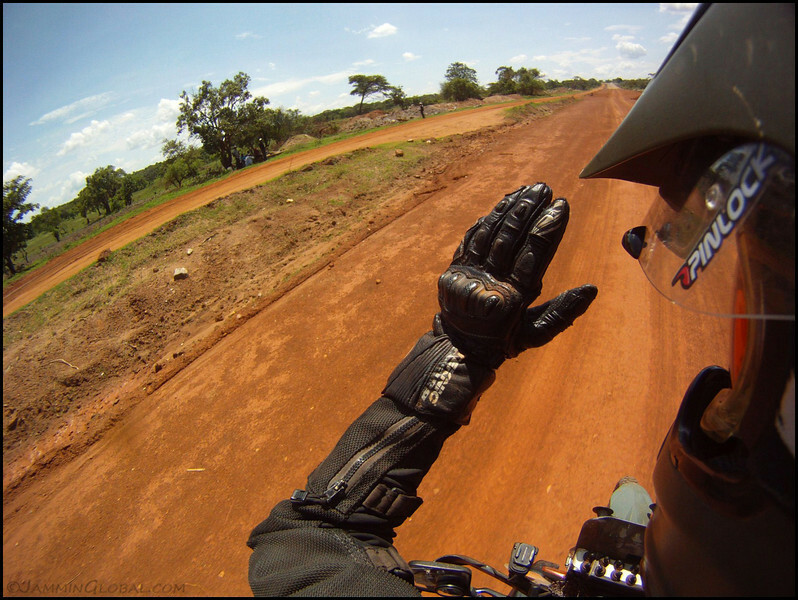 Ahh, good to be riding in Africa. I got to the big town of Sumbawanga and checked in to the Matama Guest House, where a clean, private room goes for Tsh 7,000 ($4.50). 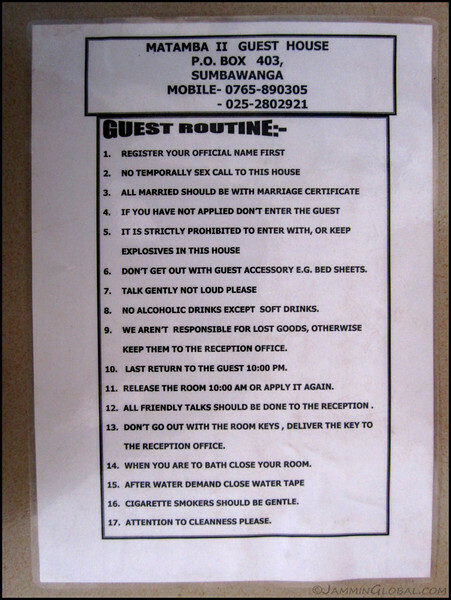 The Matama Guest House has some strict rules that every guest must follow. Lots of funny ones here but I love #12, no friendly talks anywhere else except at reception and #16, those smokers are such rough people. 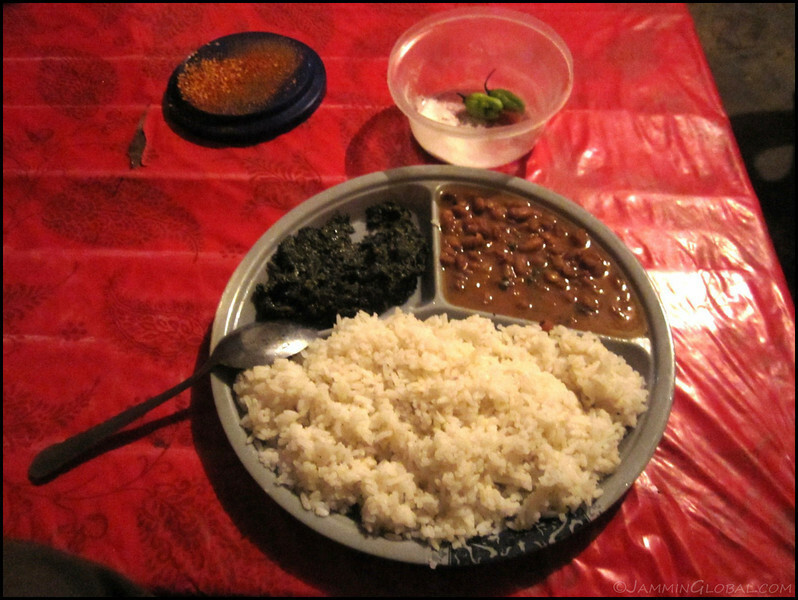 Having a hearty meal of beans and rice with some spinach and peri-peri for Tsh 1,000 ($0.64). Snap. The next morning, when packing up, I noticed that my pannier frame had snapped clean. That’s the first time that’s happened. All the previous ones were just cracks that were starting. I guess I didn’t notice it for a while and had ridden some serious corrugations yesterday. How many straps equal a weld? 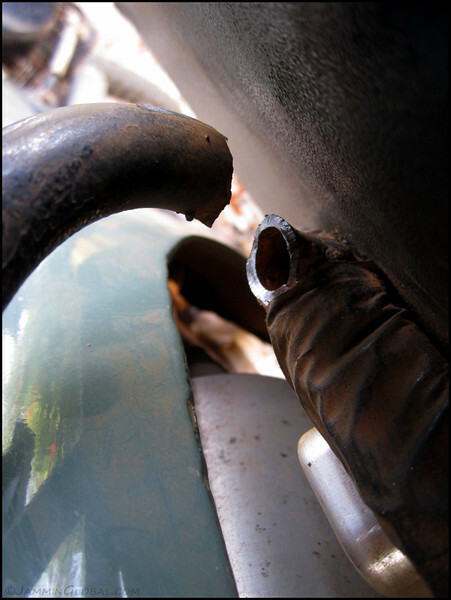 The prudent thing to do would’ve been to weld it up right there but I had only one more day to go to Mbeya and didn’t want to risk catching the rains in the afternoon on these muddy roads. 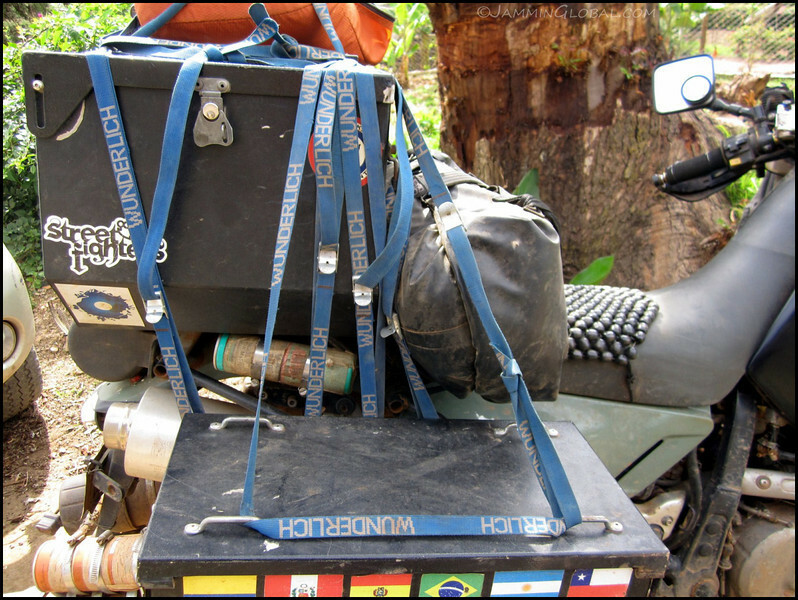 So, I used 5 of my Wunderlich straps to tie the right pannier to the top box and it held until I got to Mbeya. …which is being rapidly paved over. 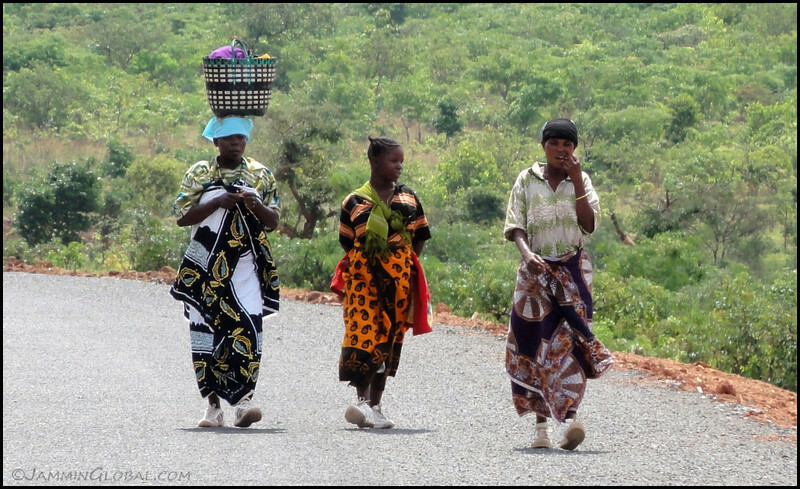 Tanzanian women in stride. What can you balance on your head? 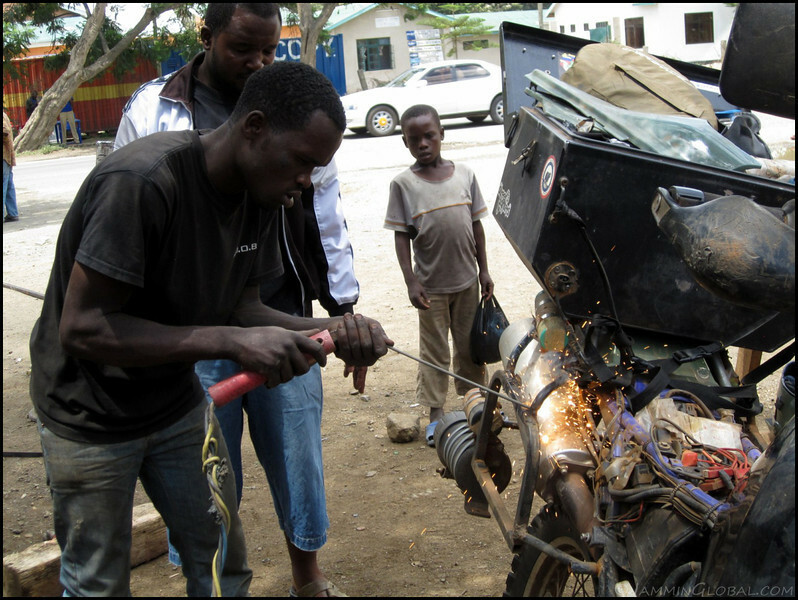 I got to Mbeya and got the pannier frame welded up at a metalworks shop. Solid job for Tsh 6,000 ($3.80). 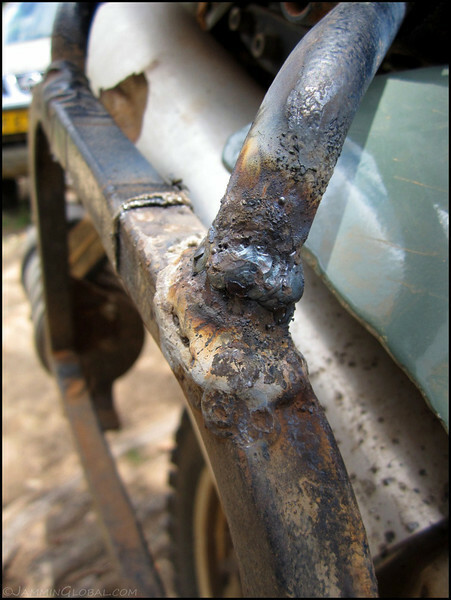 I think at some point soon my frame is going to be more welds than steel. 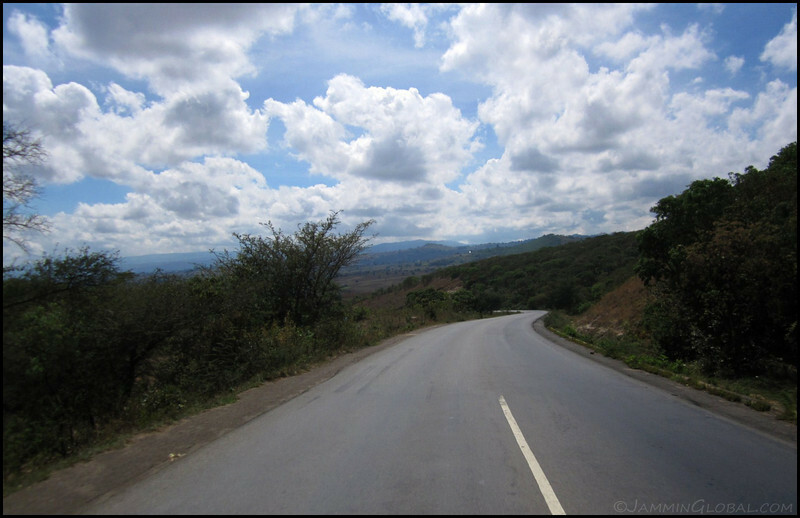 Mbeya is a lovely little town up in the Southern Highlands, sitting at 1,735 m (5,700 ft). 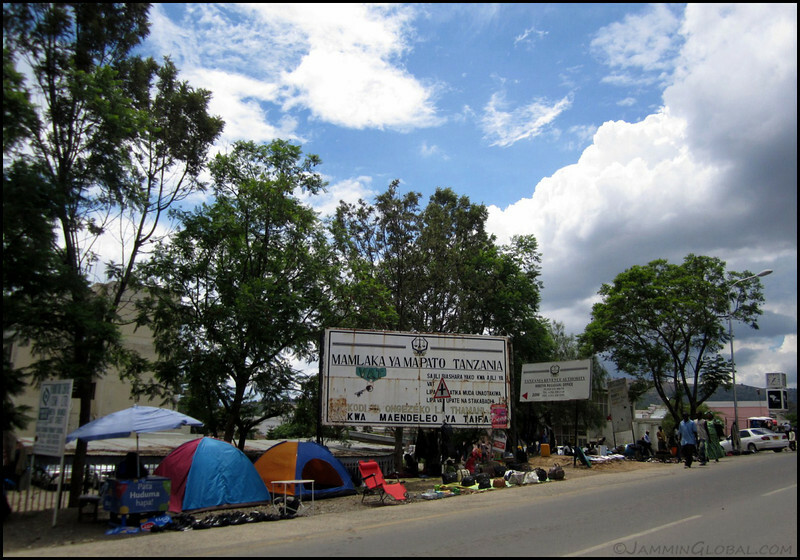 Camping equipment for sale by the main road. That chair looks comfy. I stayed with Anna and her roommate, Maren, through CouchSurfing and I’m telling you, the world is really a small place. Anna is a good friend of Christina, my friend from Nairobi and officemate at ICRISAT. I only found out after posting about it on facebook. So, I was more family than CouchSurfer. Anna came to Mbeya to work at a medical research institute and is now looking for her next steps. I cooked my chicken curry for her circle of friends and helped spread the message of eudaimonia through it. 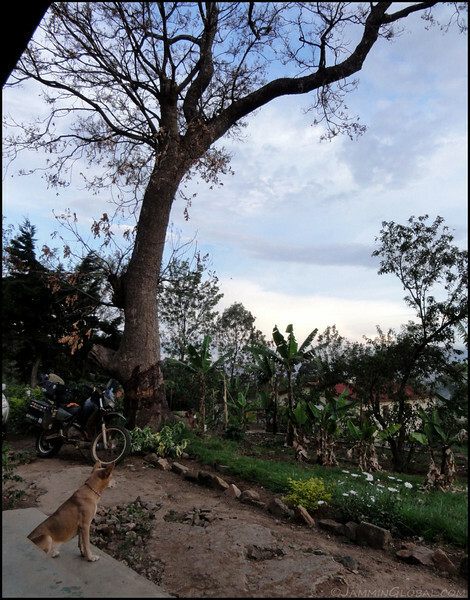 Anna’s dog, Nyota, keeping watch over sanDRina. 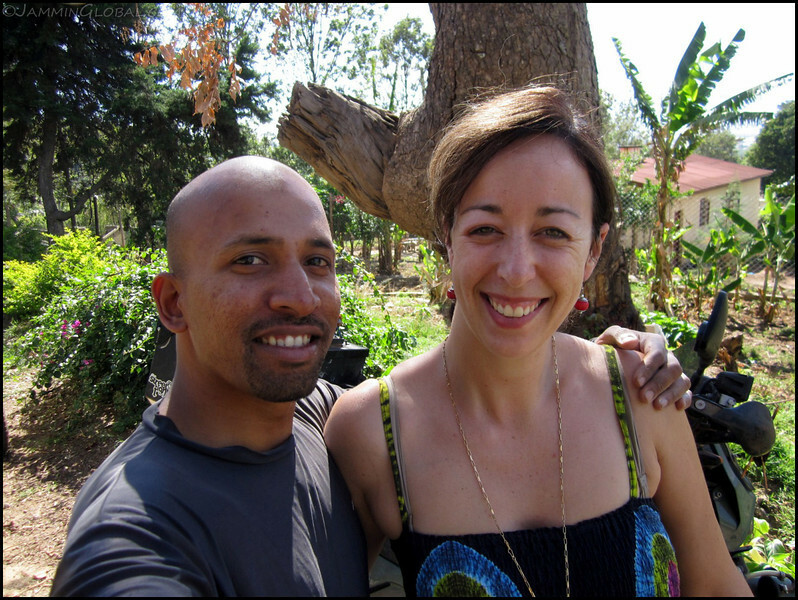 They were renting a nice, little house with a great view over the valley that Mbeya sits in. 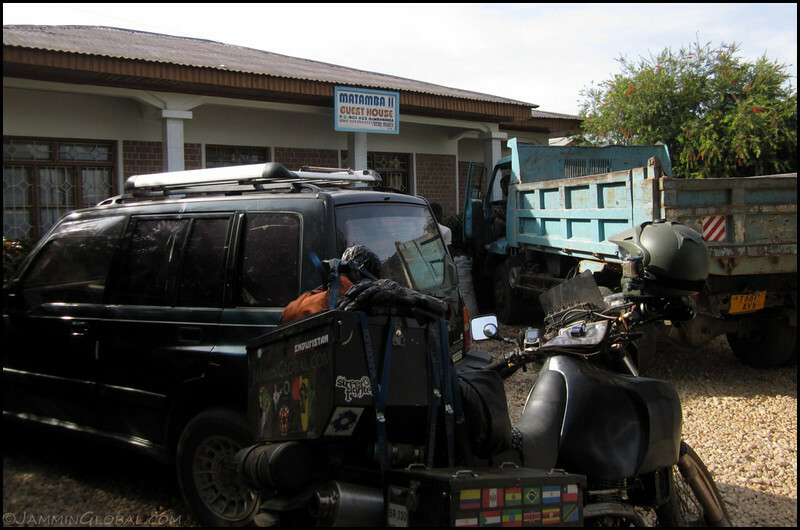 Filling up fuel at a proper petrol station on my out of Mbeya. 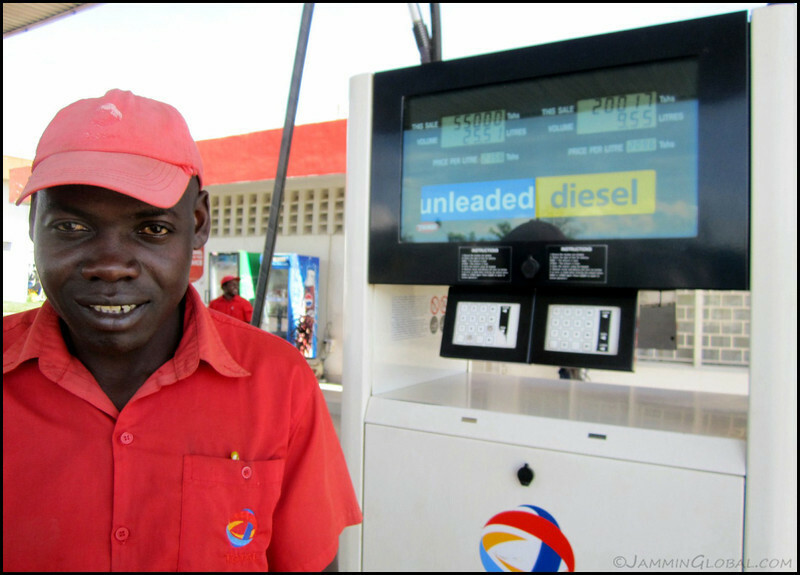 The attendant, just like all the others before him, was amazed at how much fuel sanDRina can drink down. 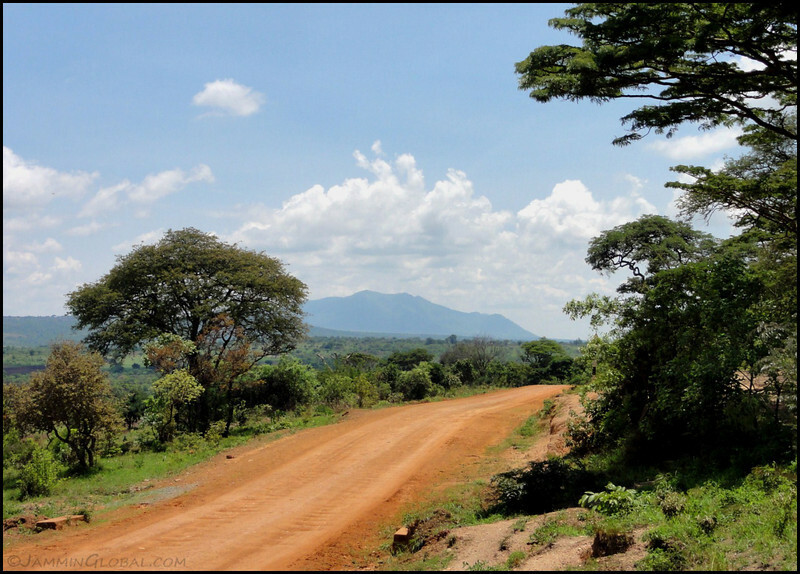 Twisty roads in the Southern Highlands of Tanzania. This is the TanZam Highway, linking Lusaka to the port at Dar-es-salaam and mostly sees truck traffic and used Japanese cars being transported to land-locked Zambia. Enjoying big mountains in my view and looking forward to getting back into them soon. Click here to see the high resolution version. 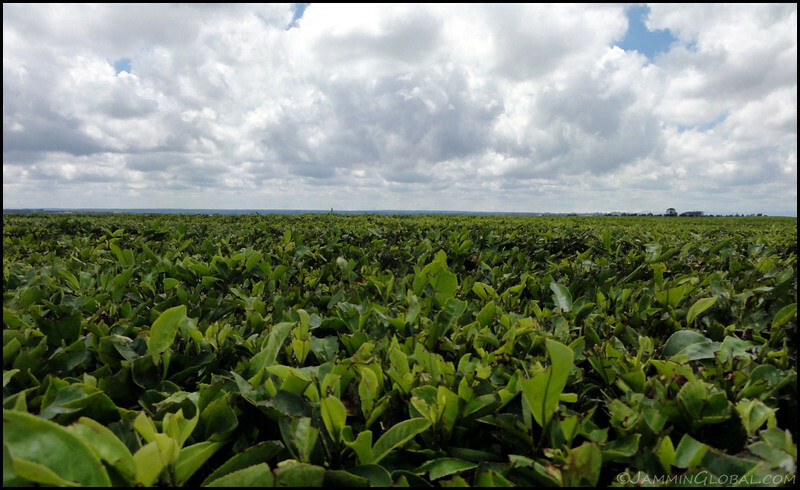 Tea plantations stretching across the horizon near Njombe. 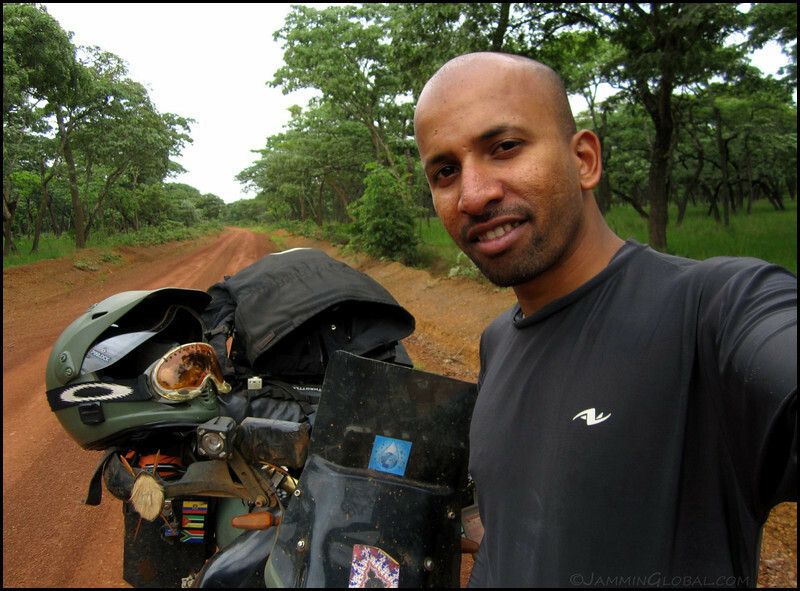 I got off the TanZam and headed south for the Mozambican border, climbing back up into the mountains and their chill air. Click here to see the high resolution version. Tea leaves, ending up in a hot cup near you. While coffee beans are roasted to get to the end product, tea leaves are fermented. 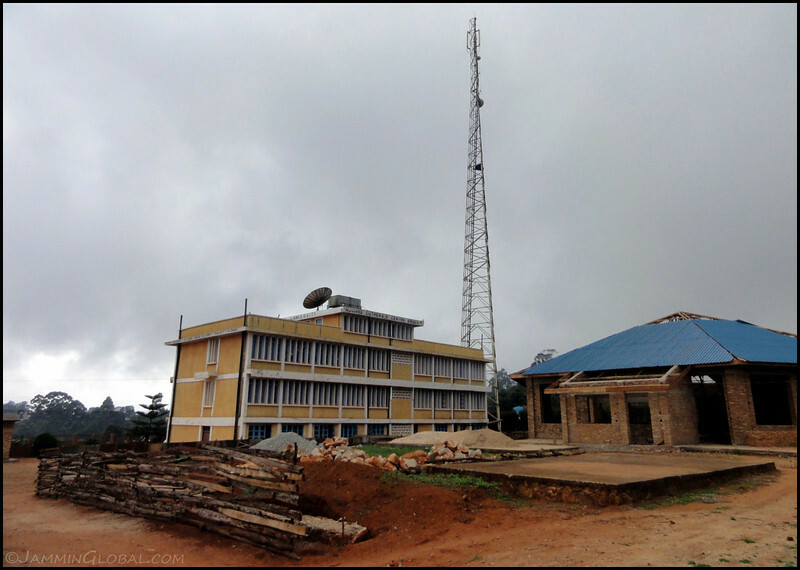 A huge cell phone tower next to the Lutheran Guest House in Njombe. 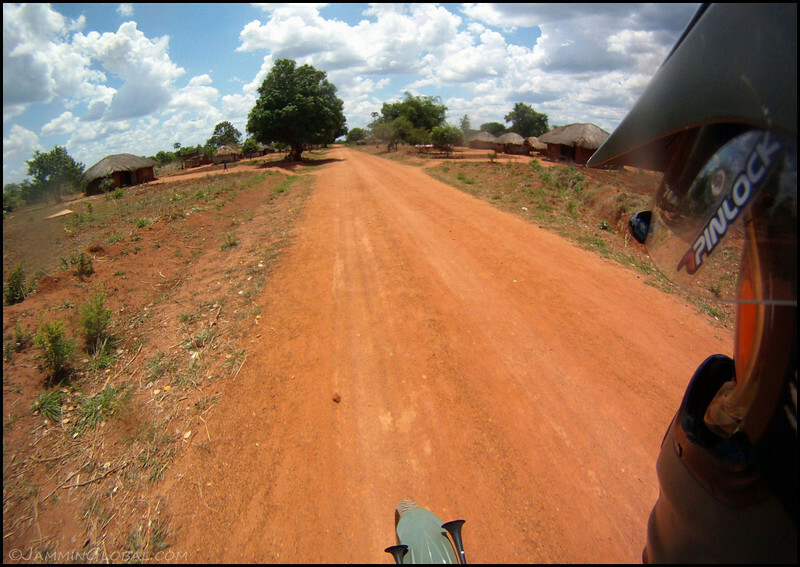 I was only getting 2G reception in most small towns but connection is there and data is cheap in Tanzania at around Tsh 500/25MB ($1.28/100MB). 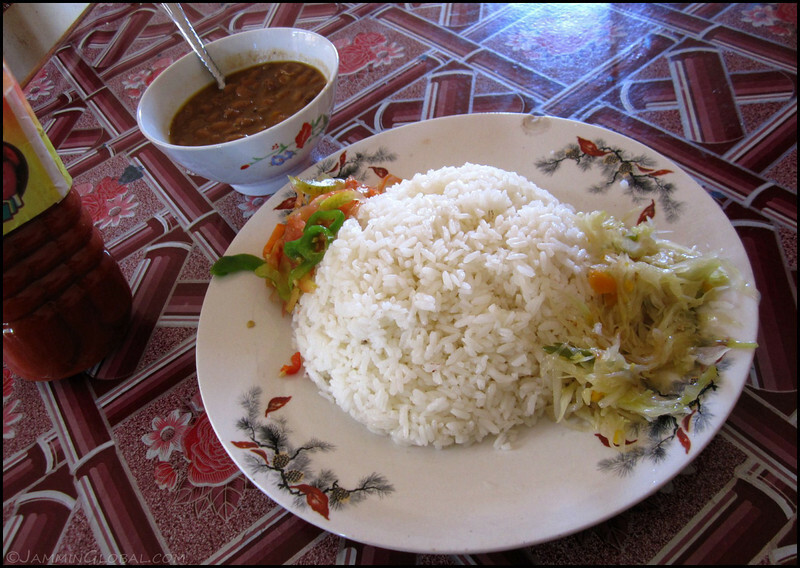 Having a nicely presented lunch/dinner of rice and beans with some veggie and hot sauce for Tsh 1,200 ($0.76) at a nearby cafe. 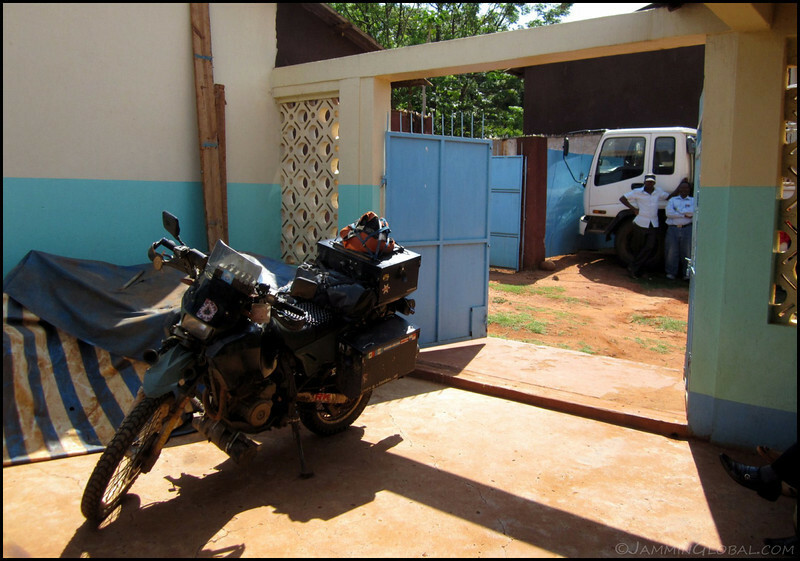 Doing some gear maintenance as I prepared to head into remote parts of northern Mozambique. 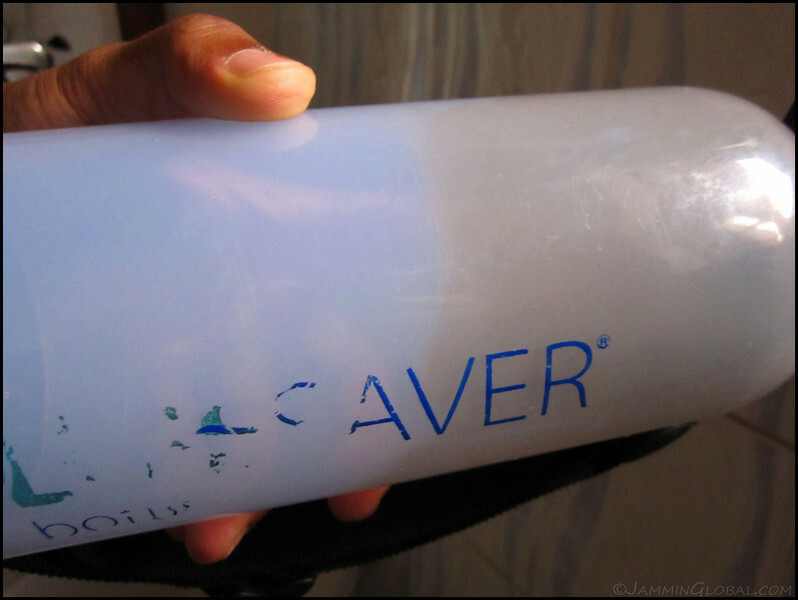 This is my LifeSaver water filter and check out the muck that’s lining the inside. This filter works amazingly well and I’ve not had to buy a single bottle of mineral water on this trip. 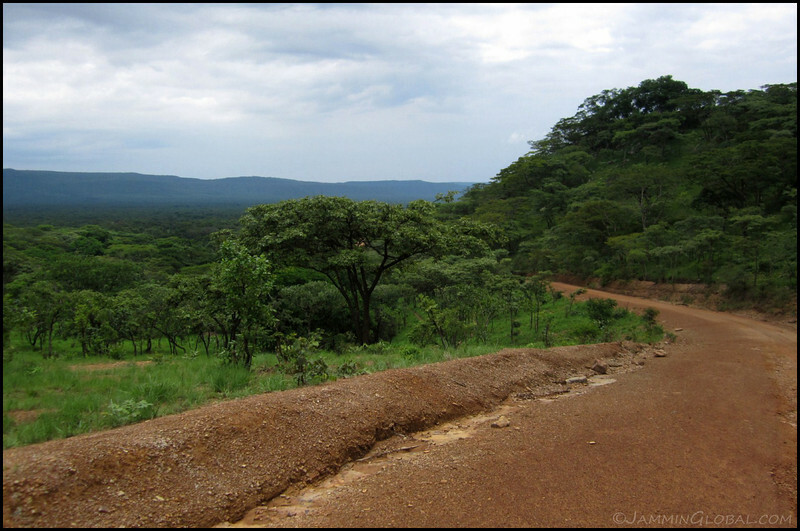 On the road to Songea and enjoying the gorgeous landscape and twisty curves. Click here to see the high resolution version. 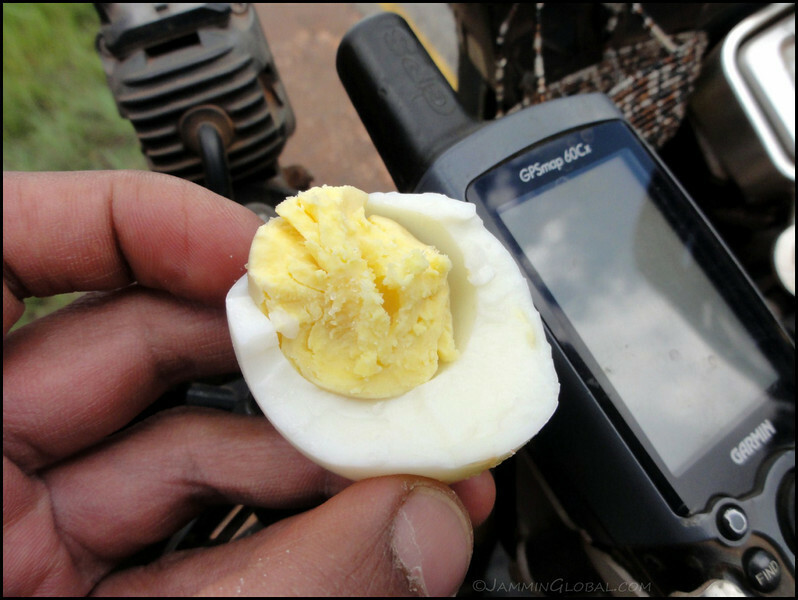 I got some boiled eggs ordered at the cafe near the guest house and had two for a roadside lunch. Heading down from the highlands and just soaking in all the greenery and twisting asphalt. Click here to see the high resolution version. 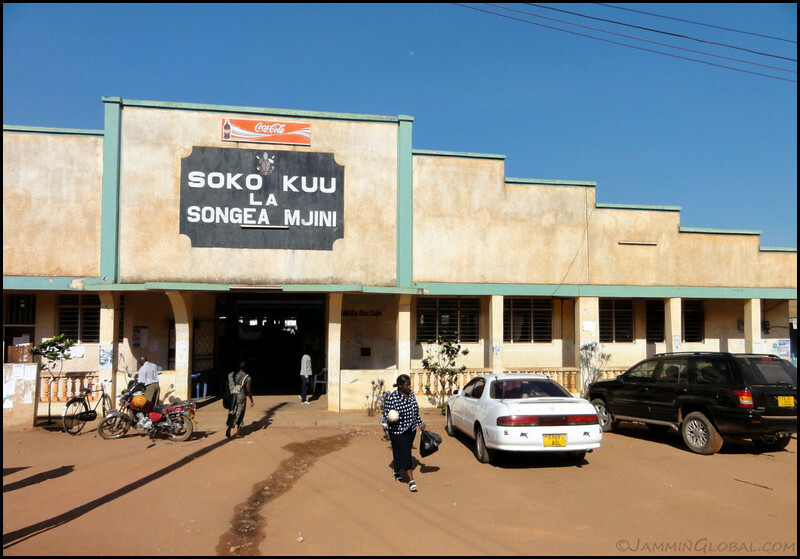 Songea is a frontier town with remote crossings from here west into Malawi and south into Mozambique, where I was headed next. I knew that Mozambique would be more expensive than Tanzania so I stocked up on supplies such as washing powder, biscuits and instant coffee sachets. 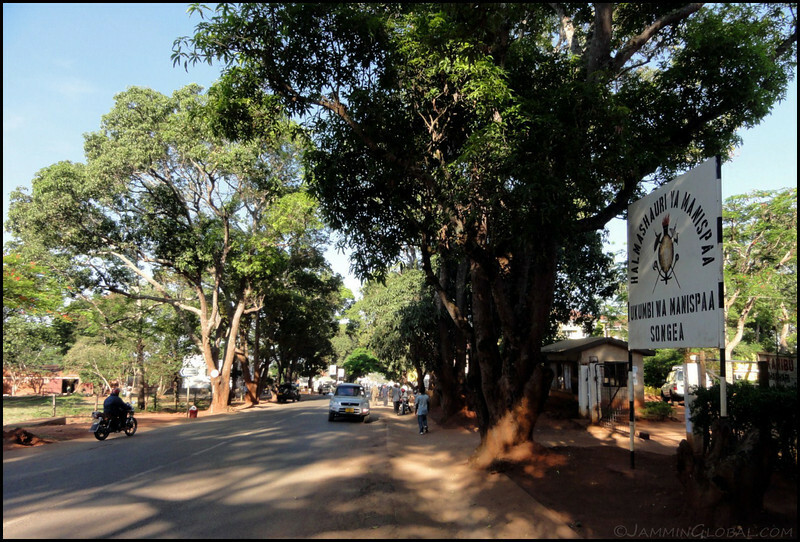 Songea is a pleasant town with grand, old trees lining the main road. 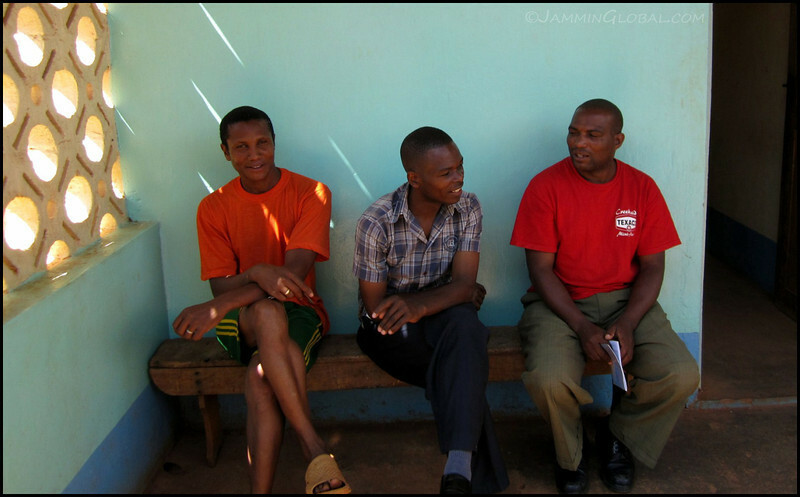 The staff at the Anglican Church Hostel in Songea. A crowd had gathered as this curious-looking biker prepared to leave. 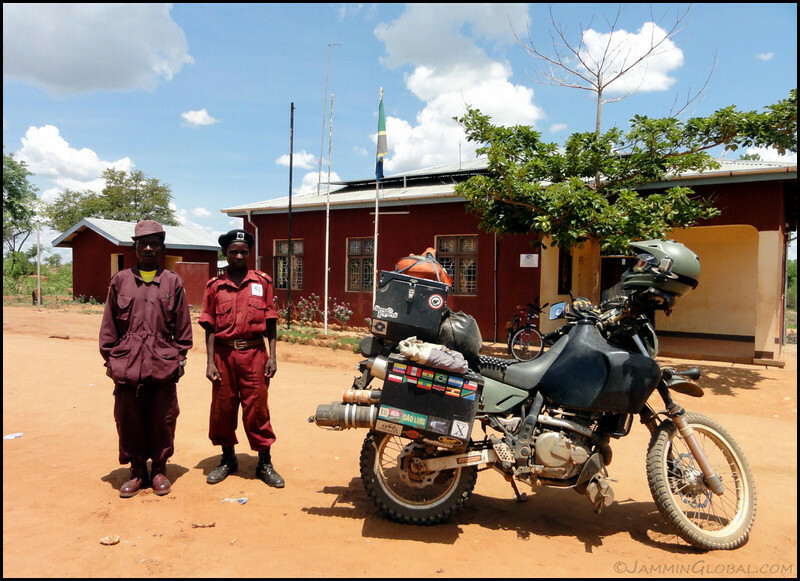 Heading south from Songea for the remote border crossing into Mozambique. The road was in good condition and the scenery was epic, with jagged peaks in view. Click here to see the high resolution version. …and stopped often to take in the grand views. Click here to see the high resolution version. One last break in the shadow of this tree before the border. Click here to see the high resolution version. 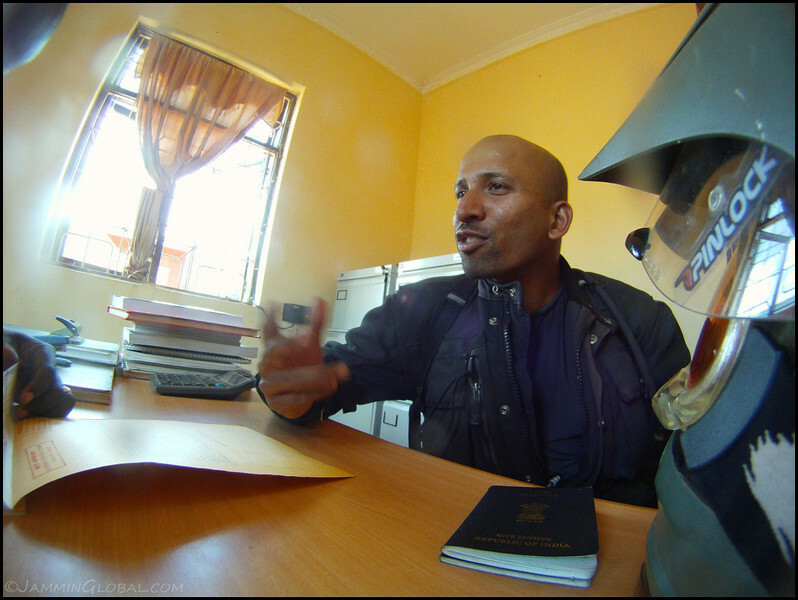 …chatting up the lone customs officer at the Rio Rivuma Border. Photos aren’t allowed at borders but that’s where GoPro comes in handy. 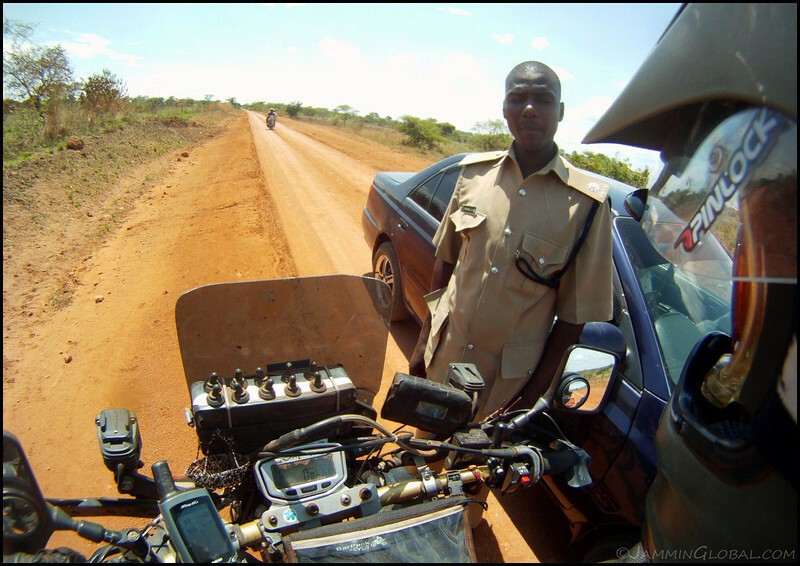 I distracted him just in time so that he wouldn’t notice that while the bike had been in Tanzania for 3 months, my passport had been stamped in and out twice. 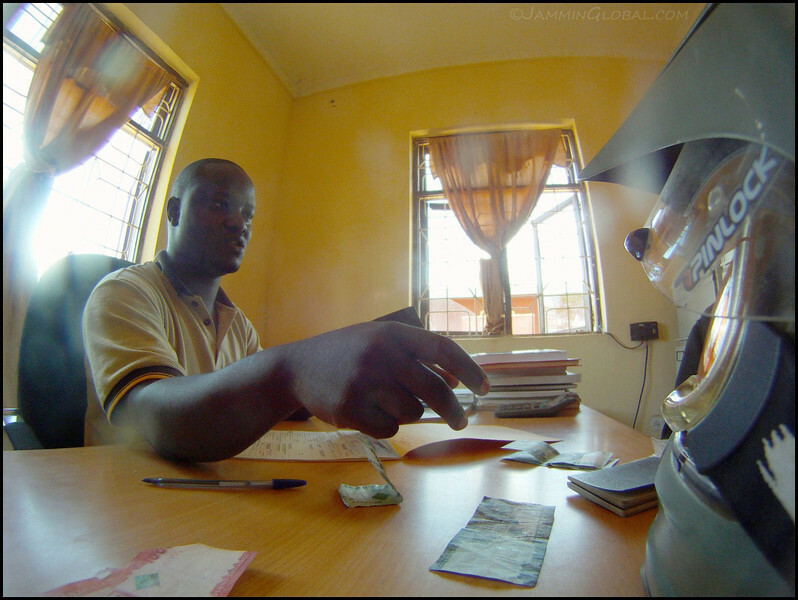 Nice chap, he even exchanged my remaining Tanzanian Shillings into Mozambican Meticals and gave me a really good rate, better than the banks. Now, that’s what I call customs with service. Goodbye, Tanzania. I enjoyed your land and dirt roads and gentle people and won’t let my extended breakdown have a lasting impact of my impression of your wonderful country. Onwards to Mozambique!